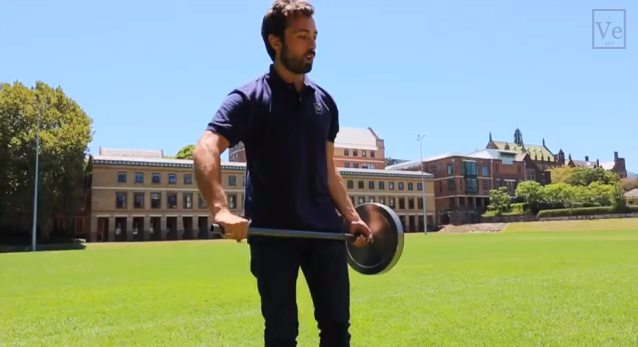 In the video below, Derek Muller of Veritasium, attempt to lift a 19kg (42 lbs) wheel over his head with only one hand while it's spinning at a few thousand RPM. This imitates an earlier experiment by Professor Eric Laithwaite. Eric Laithwaite claimed that the wheel was 'light as a feather' and could not be explained by Newton's Laws. Or is it an Anti-Gravity Wheel?